Abstract—The paper is based on the numerical solution of Euler’s method to deal with the initial value problems for Erbium doped fiber amplifiers’（EDFAs）rate equations, and their gain dependences are discussed. Simulation of the propagation of the signal and pump power versus the amplifier length has been done. Modifying the input pump power and input signal power has obtained the gain profile of the PCF based EDFAs. Fiber designs which allow us to have large gain are presented and demonstrated that the PCF based Erbium doped amplifiers may deliver gain 54dB with small losses. The gain is greater than the conventional EDFAs. Index Terms—Photonic crystal fiber, erbium doped fiber amplifiers, gain. Peiying Chen, Suqin Feng, Lanzhu An, and Ximei Zhao are with the Physics Department, Xingtai University, PR China, 054001(email: peiyingchen818@hotmail.com,fsqxtxy1964@163.com,anlanzhu2@163.co m). Haixu Song is with the Xingtai Contemporary Vocational School, PR China, 054001Cunge Xu is with the Xingtai University, PR China, 054001. 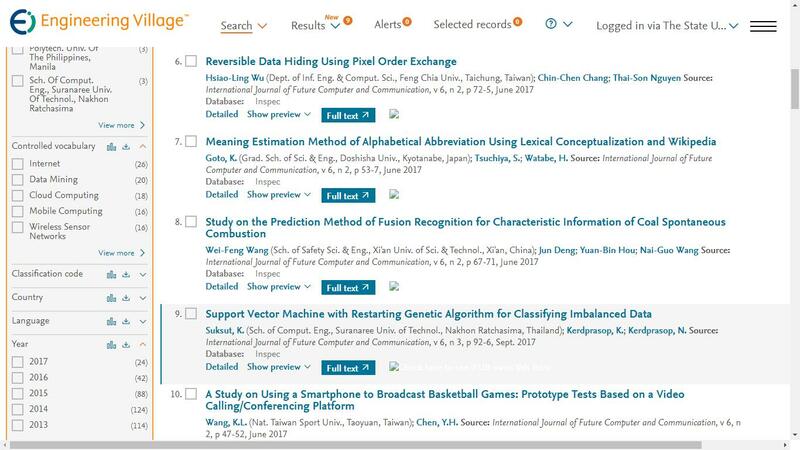 Cite: Peiying Chen, Suqin Feng, Lanzhu An, Haixu Song, Ximei Zhao, and Cunge Xu, "Crystal Fiber Based Erbium Doped Amplifiers and Their Gain," International Journal of Future Computer and Communication vol. 1, no. 1, pp. 40-43, 2012.